Este es un libro interactivo que ayuda a niños y niñas a poder relacionarse con los sucesos bíblicos a través de ilustraciones y búsqueda de personajes u objetos importantes. Este libro consiste de 28 páginas a todo color basadas en historias del Nuevo Testamento. Meet Mini Mike: an explorer who likes to travel back in time to witness the most dramatic events in Biblical history. 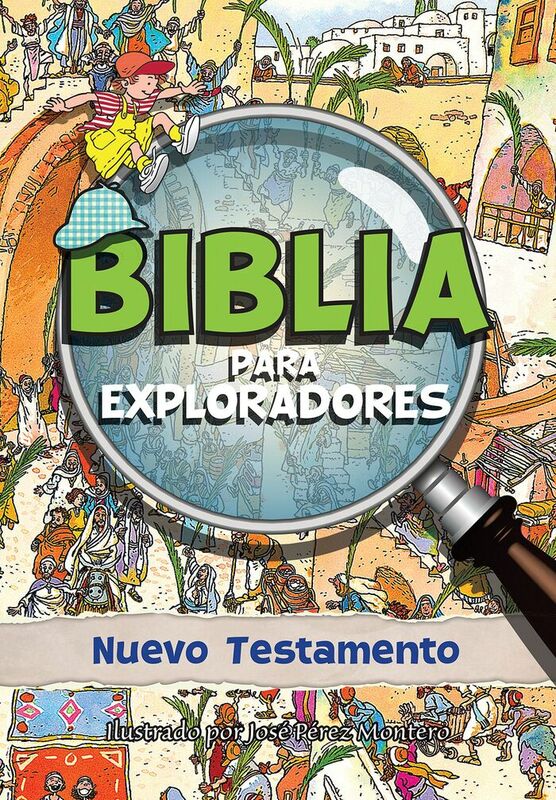 This is an interactive book that helps children be able to relate to Biblical times through illustrations and a search for key characters/objects. This book consists of 28 full-color pages with key scenes from the New Testament.